“Let’s take a look at the simple beginner’s project of the minute timer. 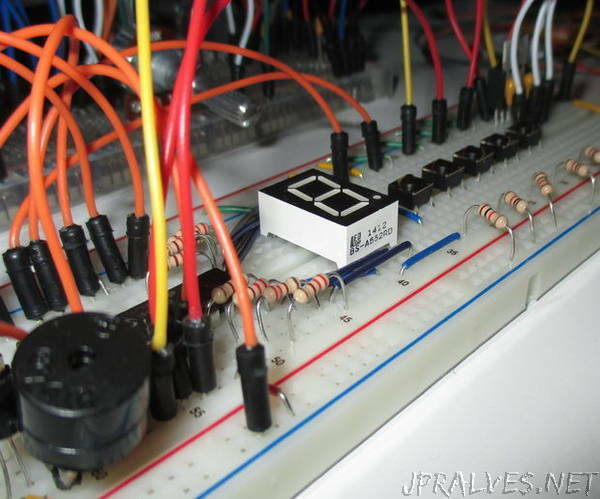 The heart of the project is the 8-bit PIC16F88 MCU. The time is shown on the 7-segment display and the timer is operated using 6 buttons. The device is powered by the 9 volt battery.